Dine Inn - Savour Home-cooked Meal at a Host's House | JACQSOWHAT: Food. Travel. Lifestyle. Create a Create Dine Inn account and select your preferred dish or meal. 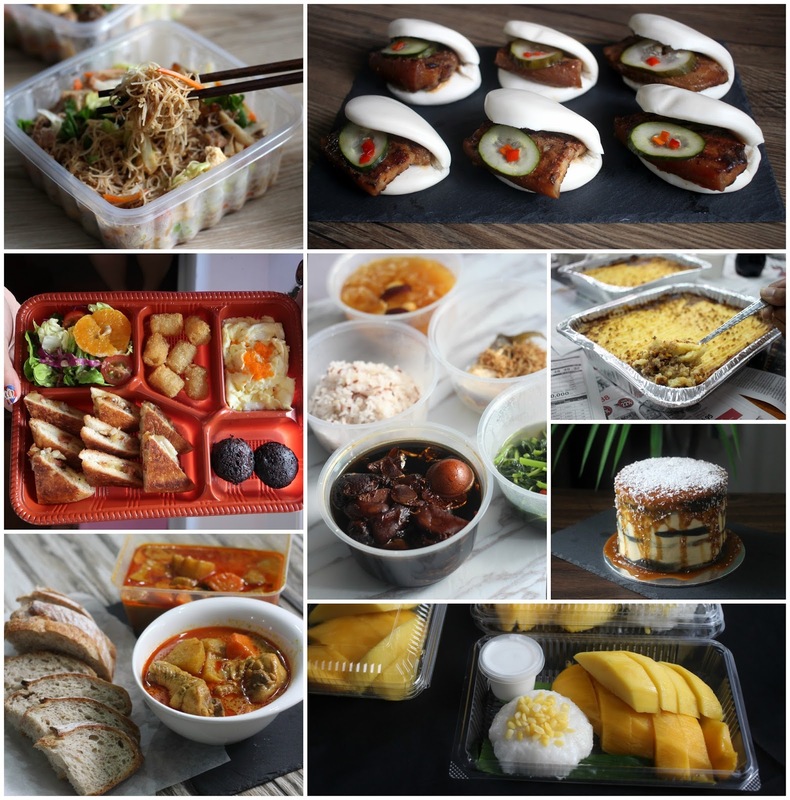 The service type options are Self-collection, Delivery (S$10 island-wide), Dine at host's place, Chef for hire or Tingkat. Chat with the hosts directly via the in-web/app messaging system for any special requests or enquiry. 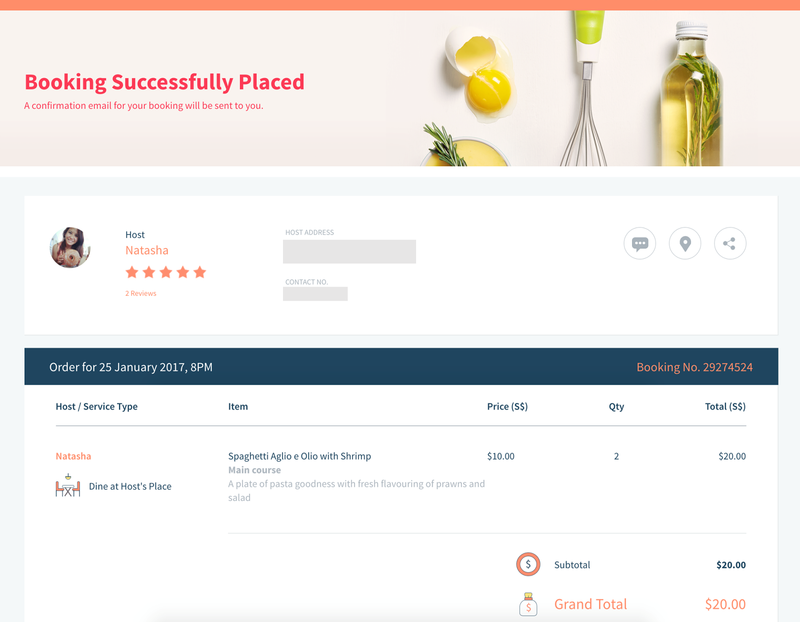 Proceed to book by indicating your date, time, quantity and service type, followed by making payment for your booking. Guest and host will receive the booking confirmation instantly upon successful payment. After the meal, both guest and host will review on each other - such as quality of food, communication between both, pricing and overall accuracy. 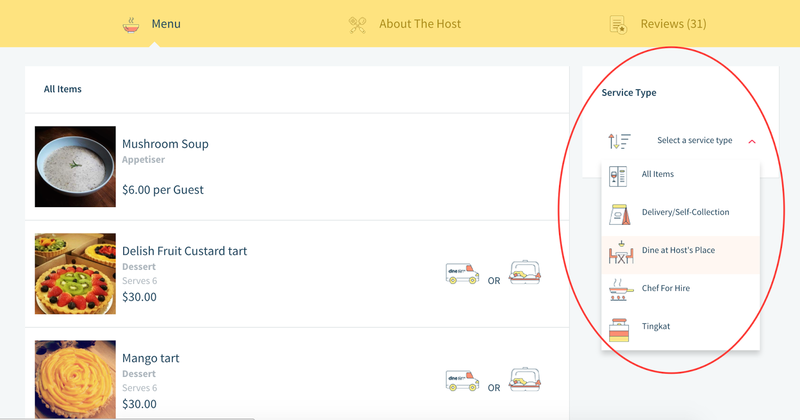 After clicking into the host's page, you will find the items offered by the host as well as the different service types. If the date you wanted is blocked out, that could mean the host/ service type isn't available on that day. All bookings are instantly confirmed so do make sure your orders are all correct before checking out. Above is the final page you will see after payment, along with your booking number. Afterwards, the booking confirmation and receipt will be both email to you. But for me personally, I would usually drop a text to re-inform the host of my orders. What sets Dine Inn apart from other food delivery companies? It provides a safe environment for both the guest and host to bond in a trusted community. Firstly, you as a guest can liaise with the host and make flexible arrangement since hosts can change their availability at their own convenience (provided no prior bookings were made). Secondly, bookings are confirmed instantly upon successful payment. Followed by building a trusted community by verifying and reviewing all accounts (guests and hosts) regularly to ensure they are complied with the guidelines. Guest’s honest, transparent and constructive reviews on the host’s listings also plays an essential part of Dine Inn. Lastly, hosts ensure its food safety by undergoing a compulsory Basic Food Hygiene Course provided by Singapore Workforce Development Agency before they are published on the platform. Hosts are also protected with a public liability insurance coverage in the event of a third-party claim by Dine Inn guests for illness caused by anything harmful or defective in the food. What kind of food to expect? The hosts on Dine Inn offers a variety of food from Chinese, Western, Japanese and Thai fare to confinement food and not forgetting about the sweets as well. We managed to try a bit of everything and our personal favourites are Jo Ann’s Serrano Ham Grilled Cheese Breakfast Bento, which were totally affordable and satisfying. The other one would be Mary’s Curry Chicken with Wholemeal Crusty Bread which she used hormone-free chicken. I loved how it’s not overly spicy that even the old and young in the family enjoyed this home-cooked dish. The wholemeal bread were a perfect complement as well. There were several different types of unique meals on Dine Inn, but one of them that caught our attention was confinement meals offered by the host called Annie. We tried her signature set which is a 5-course meal (S$38.80), includes Black vinegar pig's trotter with old bentong ginger with eggs, stir fry vegetables, deep fried fish, brown rice and white fungus red dates with lotus seeds dessert. It was a hearty and comforting meal, serving up to 2 pax. *All information are accurate prior to the date of order. That is not all, the dishes mentioned above was only the self-collection and delivery service type. I would like emphasis more on dining at the host’s place as it was a truly unique experience for me and my friends. 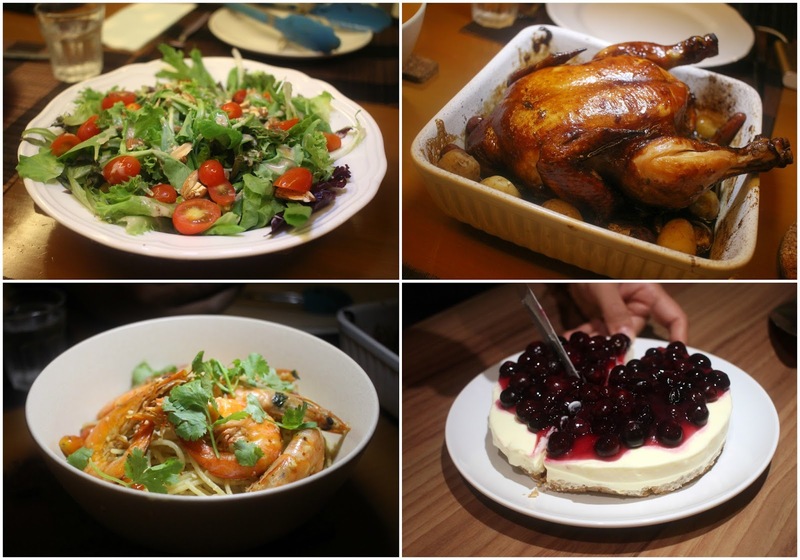 Our first dine in was at Natasha’s place and we had some amazing dishes like the Oven Baked Chicken, Shrimp Aglio Olio and Homemade Lemon Blueberry Cheesecake. Sharing the meal with Natasha and husband, Faz wasn’t awkward at all, in fact they were very welcoming and even shared about their travel photos with us after the meal. Their house is totally #housegoals! We had so much fun on our first dine in and decided to go for another, this time at Shaaleni’s. Yet another incredible experience as Shaaleni shared about her culinary knowledge and insights about her offshore studies. It was as though we were catching up with a friend over lunch. 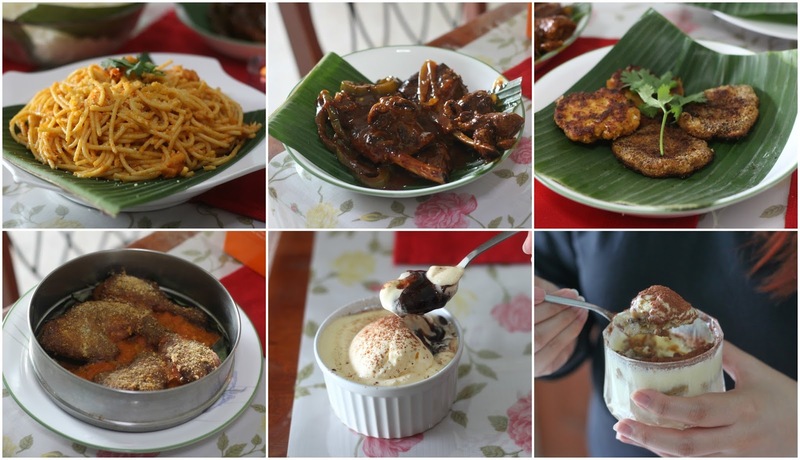 Back to the food, she and her mother whipped up more than the two of us can finish, and here are some of the delectable dishes we love - Prawn Pasta (which tasted a little like dry tom yum pasta), Spicy Baked Chicken, Spicy Lamb Chops and Tiramisu. A platform like Dine Inn provides a great and healthier alternative to home-cooked food at your own convenience. Overall, we enjoyed the diversity of food that was offered by the different hosts and no doubt this is a great way to make new friends too - true enough we made a couple of friends here. As for pricing (possibly the main factor to consider), some of the dishes were rather steep while others were pretty affordable. 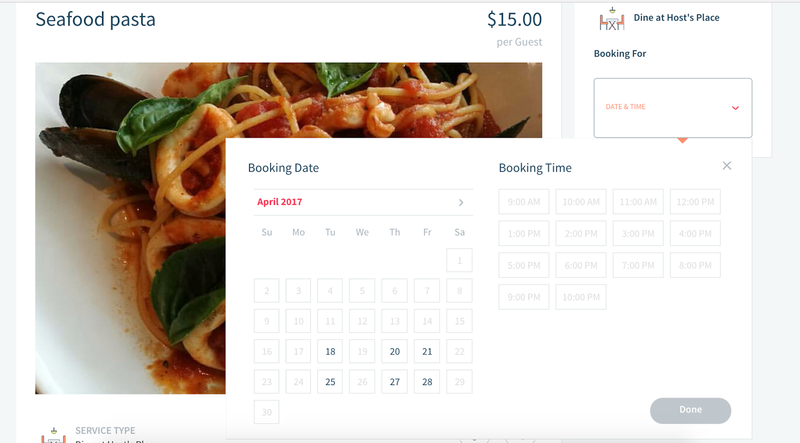 Nonetheless, do bear in mind that Dine Inn charges a 20% fee for every successful booking so these hosts do not profit much actually, while some of them are doing it for the passion of cooking. Nevertheless, if you have the dedication to cook and enjoy cooking for people, you may want to join the community at https://sg.dineinn.com/hosts. As for us, we will continue looking out for unique and delectable treats at Dine Inn. *This post is brought to you by Dine Inn while this review is based entirely on our own experience. The food looks so amazing! :o I'm drooling. Gone are the days of the traditional wedding fruit baked recipe layered in marzipan and coated in white icing. Today's brides and grooms are mixing it up with a huge range of wedding cakes to choose from. Anything from mud cakes to sponge cakes and even cupcake towers is possible. Starting a dog bakery business may be hard for some of comfort food recipes this should not be the case since I will give you a few steps that will make you rich and your dogs happy. A dog bakery manufactures biscuits and treats for animals. Wisconsin is an area that is full of potential if one is interested in starting a dog bakery.